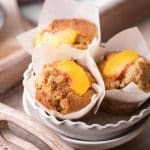 Peach Muffins are easy to make, taste amazing, and only require two large peaches. The batter is full of ripe peach chunks with hints of vanilla and cinnamon. 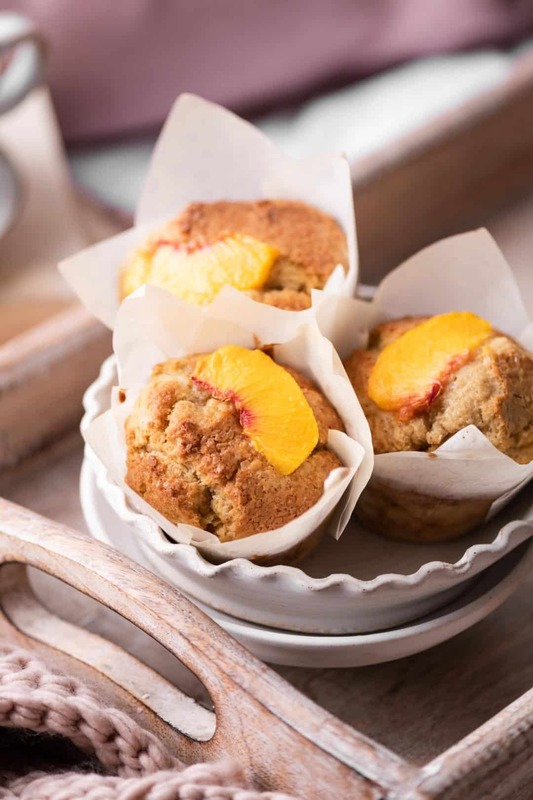 Each muffin has a large risen top that can support additional peach slices. 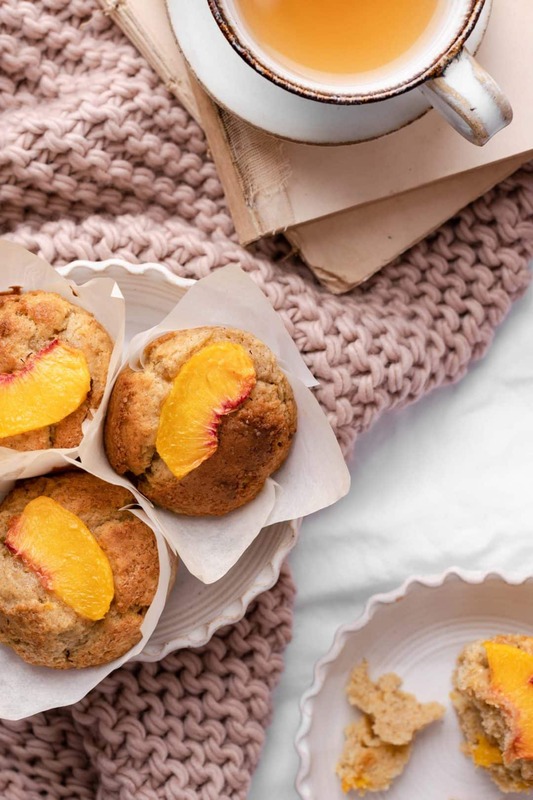 If you’re completely peach obsessed in the summer like I am, you need to try these muffins. They’re so simple to make, you basically just stir everything together. First, whisk the dry ingredients in one bowl. Then the wet ingredients in a separate bowl. Finally combine them all with a little stirring and fold in your peach chunks. No need for electric mixers, just a bowl a hand whisk and tada muffin batter. For this recipe I used large muffin cups, which control the shape. You can switch to small paper cups for a larger domed top. Each muffin is sprinkled with a mixture of sugar in the raw sugar and cinnamon for a little crunch. I added the peach slice halfway through baking to prevent over crisping. 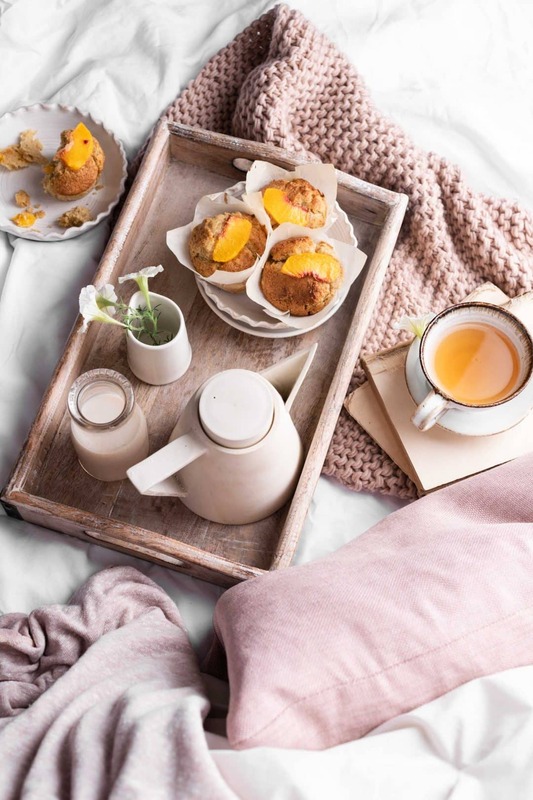 This peach muffin recipe is perfect for a lazy Sunday morning breakfast in bed. I paired them with peach tea, but they also go great with milk and coffee. Try this Blueberry Coffee Crumble Muffin Recipe for another great breakfast idea! Preheat oven to 350 F (176 C) and line a muffin tray with 8 paper cups. 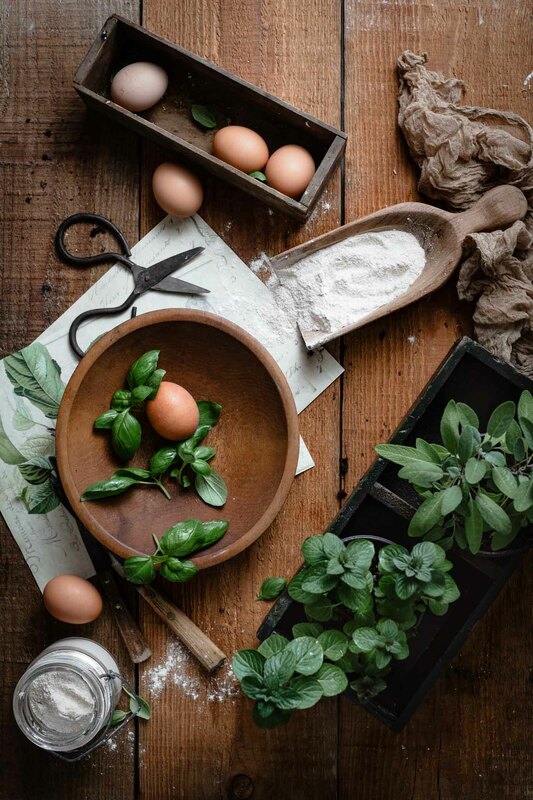 In a medium bowl whisk together dry ingredients. Stir together wet ingredients (except peaches) in a separate smaller bowl. Pour wet ingredients into dry ingredients bowl. Whisk together until a pancake batter like consistency is formed. If batter seems to thick, just add a Tablespoon of milk at a time to thin. (batter should not be runny). Fold in beach chunks, with a large spoon. 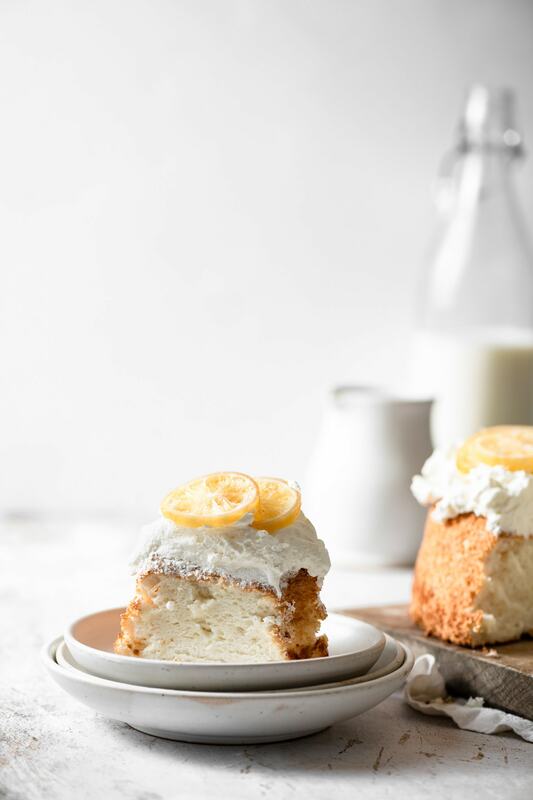 Spoon batter into paper muffin cups, dividing evenly amongst all eight cups. With a fork, stir together sugar in the raw and cinnamon in a small bowl. Sprinkle cinnamon topping over each muffin. (just enough to lightly coat). Bake muffins for 10 minutes. Remove from oven, lay peach slices across the tops. Press very gently to stick to batter. Transfer muffin tray back to the oven and continue baking for an additional 10-15 minutes or until toothpick inserted into center comes out clean. Let muffins cool in tin for 5 minutes. 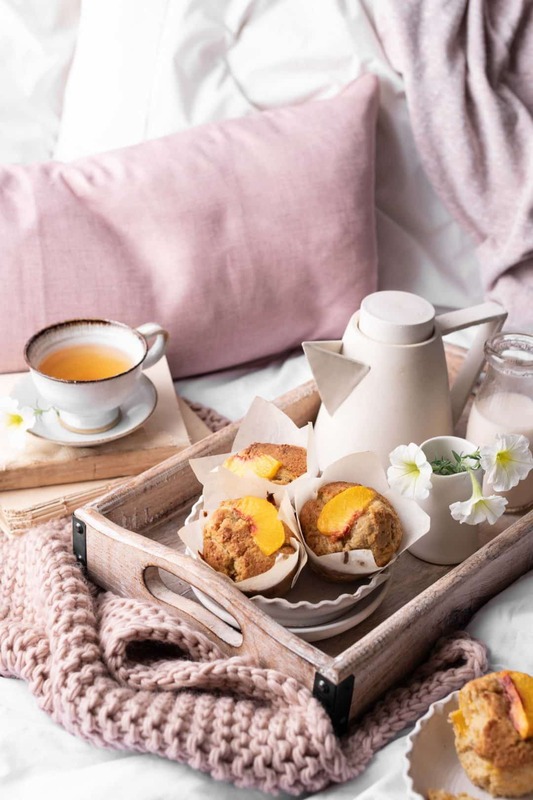 Remove paper cups and serve warm! 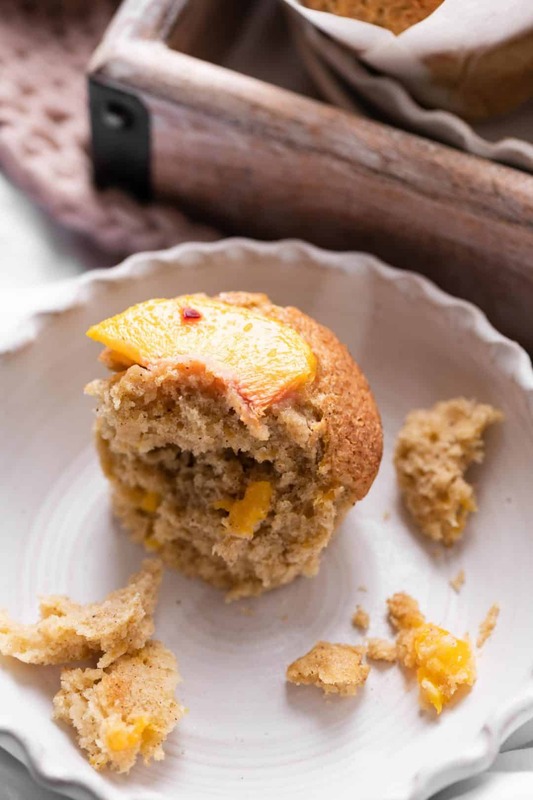 If you love peaches and love muffins, like I do, then you’ll love these!! There’s a hint of cinnamon and cloves. They’re made for peaches 😉 I sprinkled with a sanding sugar cinnamon mix which tops them off perfectly. Great recipe Jenn!